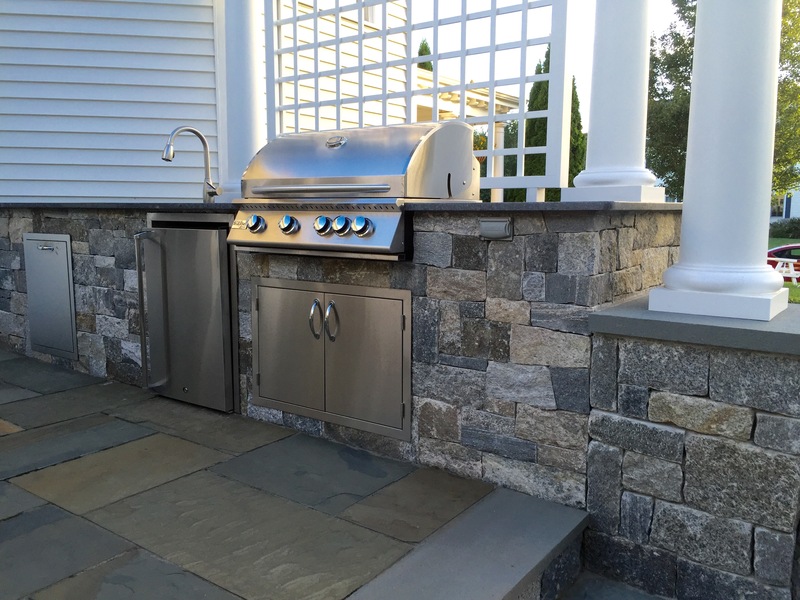 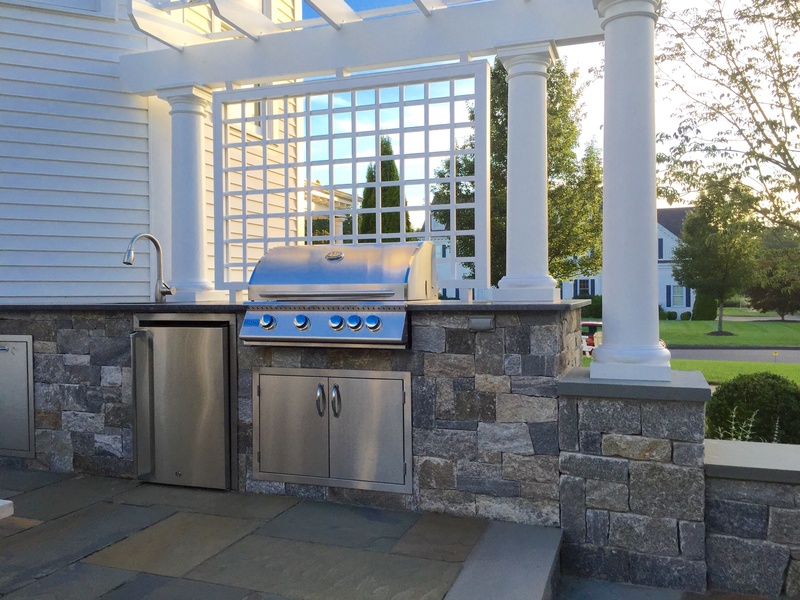 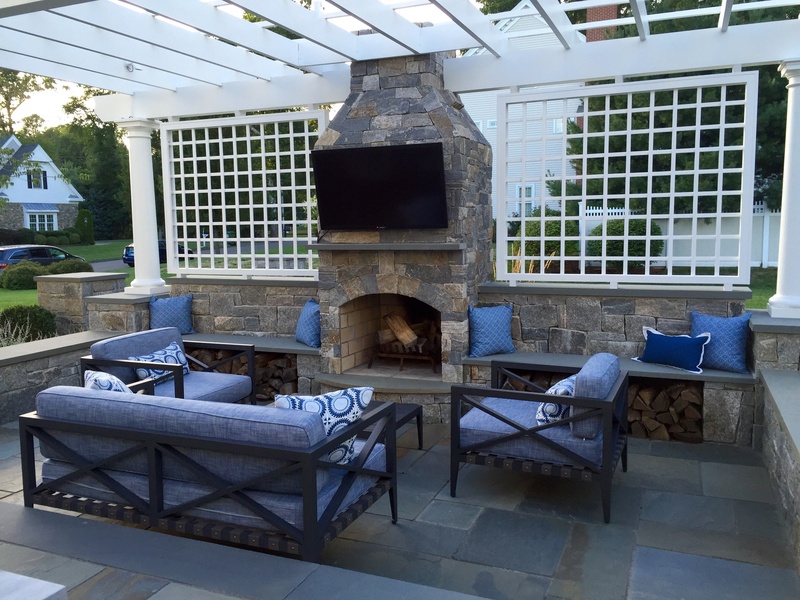 Full color bluestone patio, Liberty Hill granite on walls and fireplace with bluestone caps. 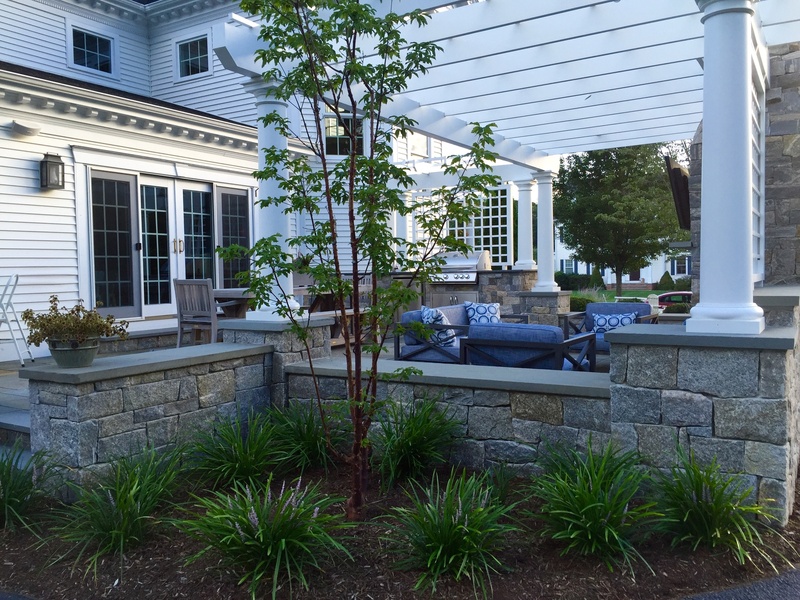 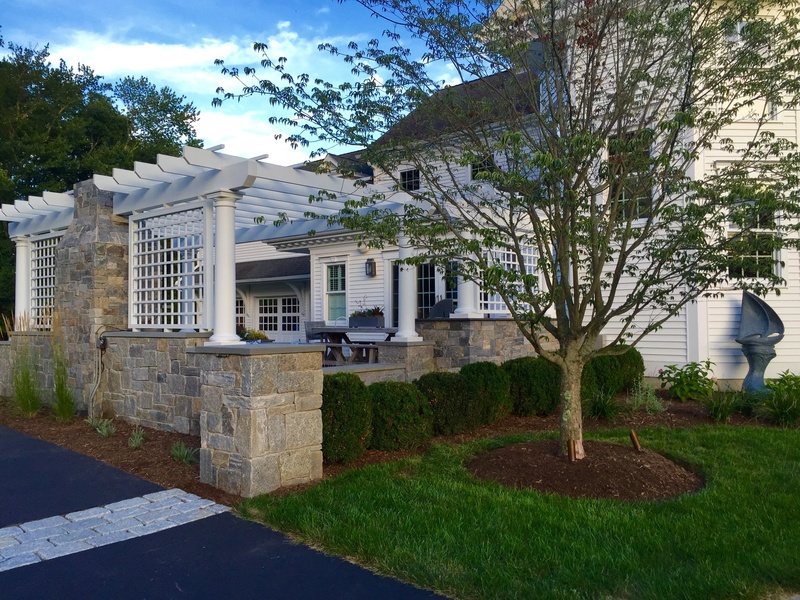 Client wanted to create an outdoor gathering space for a property with the challenge of a shallow backyard and the home’s main exit leading to the driveway. 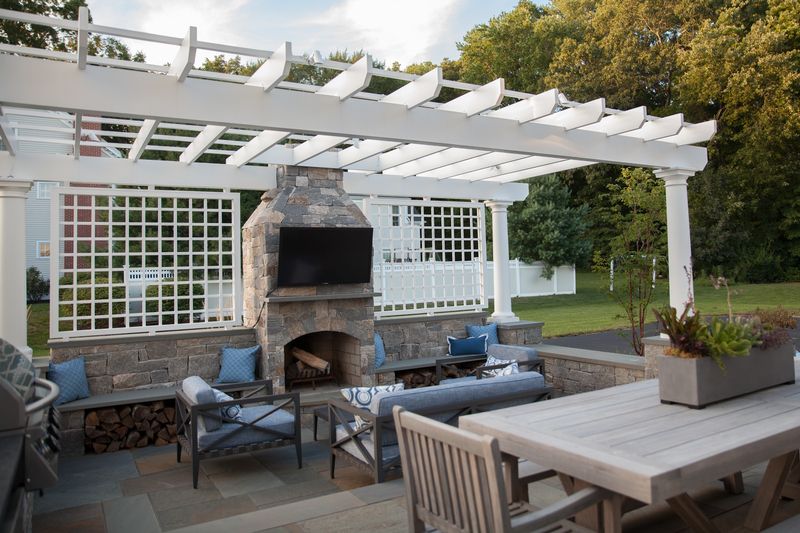 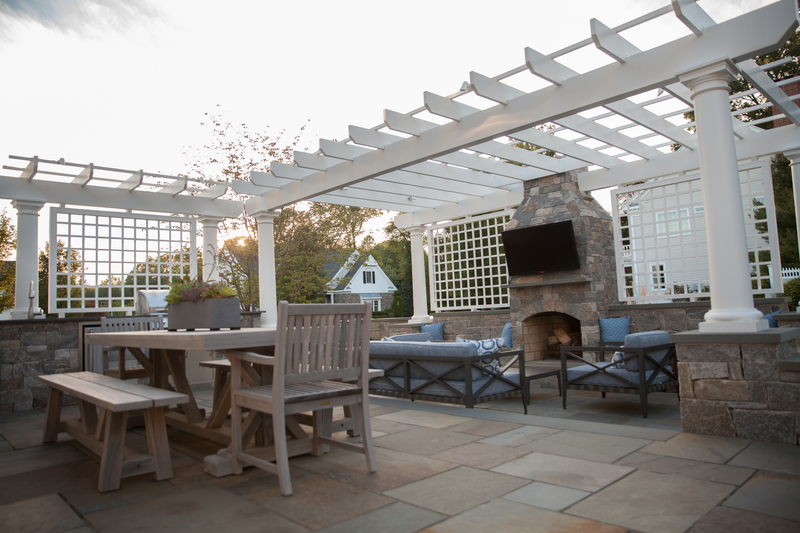 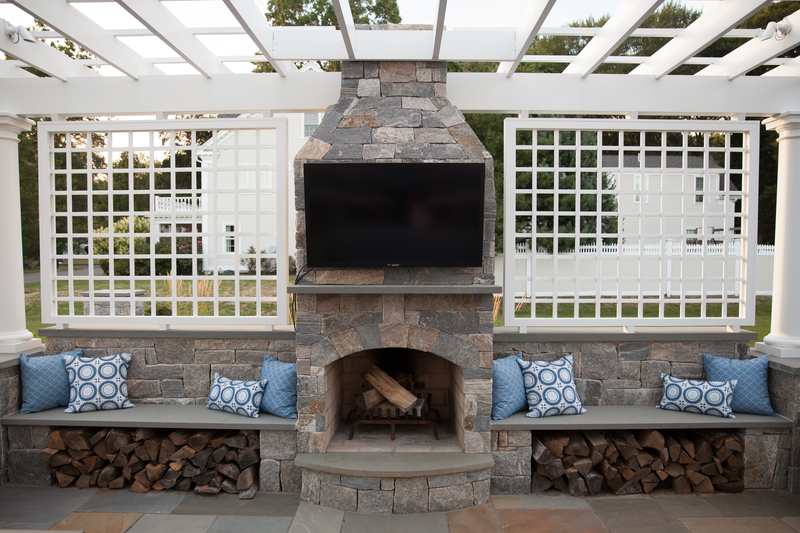 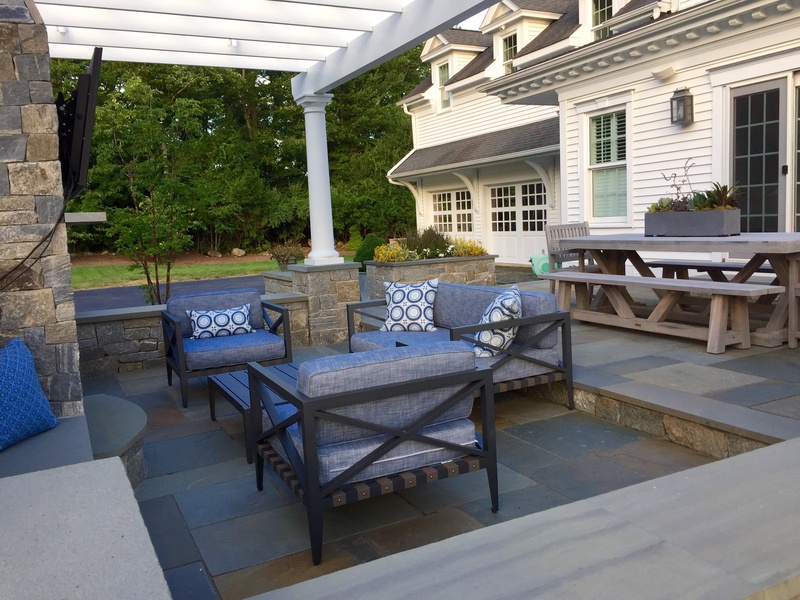 Design included a tiered patio with living and dining areas, a custom-designed pergola, an outdoor kitchen and a wood-burning fireplace.